UPDATE: The threat was found to be a hoax. Law enforcement in investigating who sent the message through Ogle. The threat was posted on a new smart phone app aimed at High School and College students called Ogle. Welcome screen of the Ogle app. The app is taking cyber-bullying and posting of threats to a new level. Ogle is a “campus feed” app where students can post photos, videos and text so everyone who is a member at a selected school can see the posts. Shockingly, app users on Ogle are completely anonymous so there is no way to find out who is using the app. After downloading, Ogle obtains your location and allows you look up a school in your area. A user selects the school and can immediately start writing posts, commenting on posts, or posting pictures and videos. A partial list of schools students can post on anonymously in the Ogle app. If a school is not listed, a student can press on the top right corner and send a request to Ogle for inclusion. 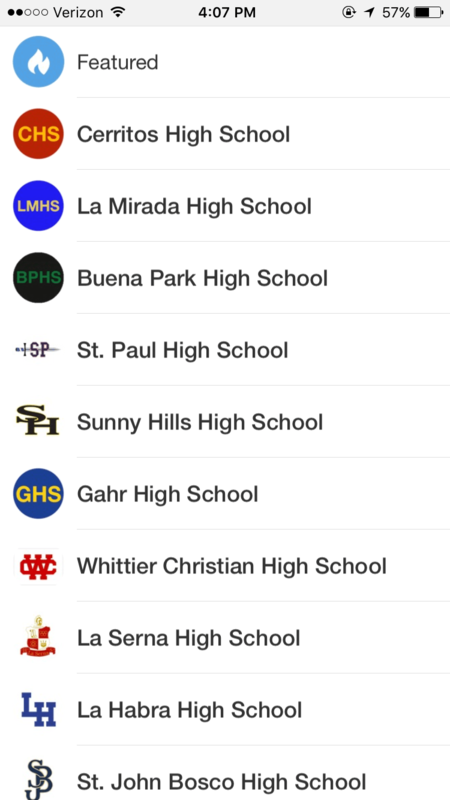 HMG-CN downloaded the app and found over 100 high schools listed in the area, including all in the ABCUSD, the Norwalk/La Mirada School District, and the Bellflower USD. Several private high schools were listed, including Mater Dei, Servite, St. John Bosco, and Whittier Christian. But that is not what students are using the app for. Some of the posts look more like Facebook comments but a large majority are extremely offensive, bashing LGBT people, calling out girls as “sluts,” anything one would expect a high school student who can post anonymously would write. Schools will be scrambling to stop students from using the school’s public Wi-Fi to write and comment on posts on Ogle even though students could easily use their own phone carrier signal to post. “It will be causing future issues in schools for law enforcement that is for sure,” Hernandez said. 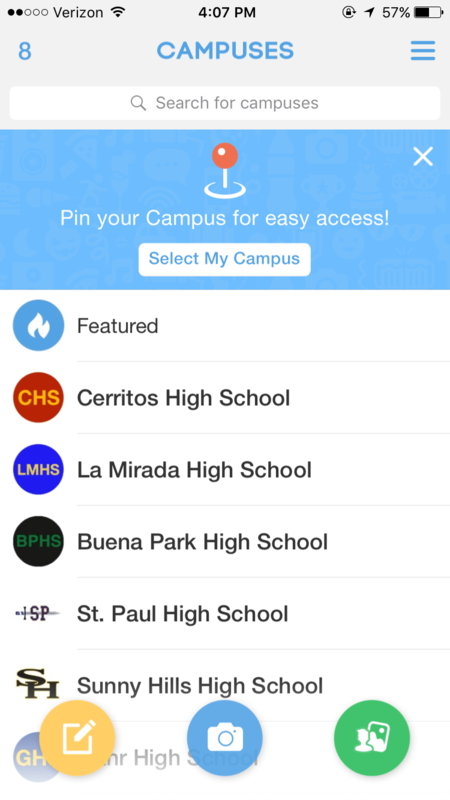 One big issue is that someone can download the app in Florida and post a comment own Cerritos High’s Ogle feed. HMG-CN contacted an IT professional who indicated that the schools might not want to stop students from using the Wi-Fi because the school could potentially identify a phone through the school’s network monitor. Also as in the case of overt threats, law enforcement officials can subpoena phone company records to find who is the owner. HMG-CN investigated the company online and found that the company started in Newport Beach under the name Nuistars, Inc. The company has another app called HiveChat. Nuistars, Inc. current address is 1172 Castro St Mountain View, CA, 94040 and is a California Foreign Corporation number 03795871. Registered Agent Xiaohu Jiang. Nuistars, Inc. filed as a Statement & Designation by Foreign Corporation in the State of California on Tuesday, June 9, 2015 and is approximately one year old, according to public records filed with California Secretary of State. A corporate filing is called a foreign filing when an existing corporate entity files in a state other than the state they originally filed in. Nuistars, Inc former location was 660 Newport Center Dr Newport Beach, CA 92660, number 03073788. Registered Agent is Daniel Jiang. Nuistars, Inc. filed as a Statement & Designation By Foreign Corporation in the State of California and is no longer active. Nuistars, Inc. is also registered in Wilmington DE. as a domestic corporation. Dear Liberty Dog Park, this is just the beginning of “whites” being a minority. Get used to it.